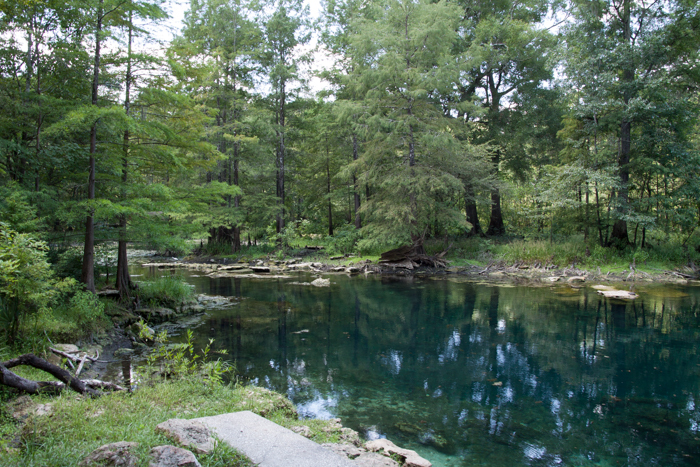 Named to honor the late world-class explorer, diver, cinematographer and photographer Wes Skiles, Wes Skiles Peacock Springs State Park has two major springs, a spring run and six sinkholes, all in near pristine condition. Cave divers travel from all over the world to explore nearly 33,000 feet of surveyed underwater passages at Peacock Springs. This park features one of the longest underwater cave systems in the continental United States. Only divers who show proof of their scuba certification are permitted to explore the underwater caverns. Around the springs, four major plant communities are represented in the mature forest stands. An award winning nature trail leads visitors on a path tracing the twisting tunnels of the caves far below their feet, educating hikers along the way. Swimming in Peacock Springs and Orange Grove Sink are popular activities during the summer. Grills and pavilions are available for picnicking.